In order to go ashore in Costa Maya, passengers have to walk through the cruise village. This modern complex of buildings is decorated so as to recall Mayan architecture and would not look out of place in a theme park in Orlando. The buildings house a number of shops including branches of several of the chains that you often find in the popular Caribbean cruise ports. In addition, there are stalls with local crafts and souvenirs. There are also bars and restaurants in the complex. There is even a swim-up bar in one of the two salt water pools. 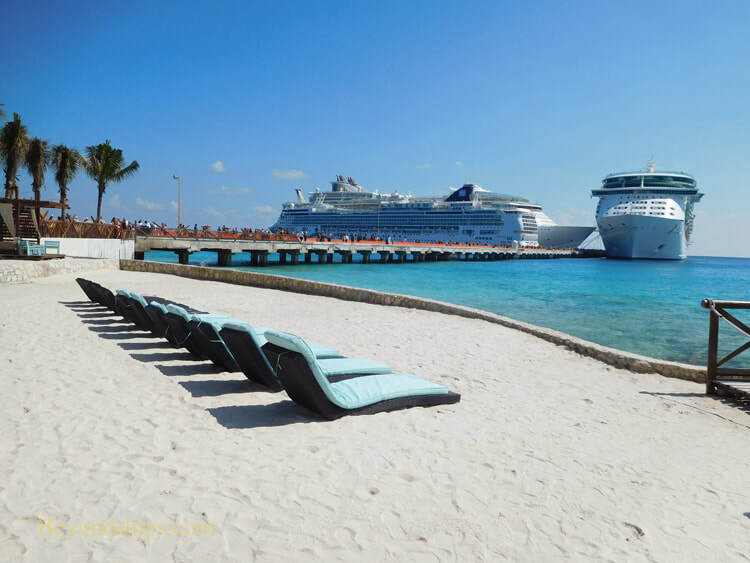 The cruise village also has a beach club with cabanas, loungers and sand. However, the shore in front of the cruise village is very rocky and so the swimming is in the pools. In their own pools are dolphins and sting rays. Passengers can have dolphin and/or sting ray experiences or just watch. Locals dressed in Mayan costumes give performances in the central plaza of the cruise village. In back of the cruise village is the Lost Mayan Kingdom Adventure Park. 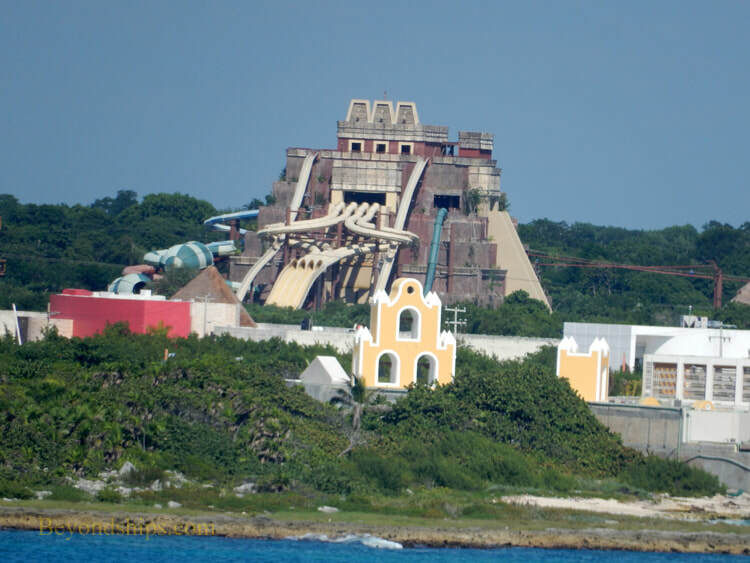 A short walk away, this is a theme park featuring a reproduction of a Mayan pyramid with waterslides. The park also has zip lines, a zip roller coaster, a pool and a kids water park. The cruise village tends to be crowded, especially when more than one ship is in port. It may be artificial but it is covenient clean and entertaining.